Lidija is an architect and environmental journalist. Going back and forth between writing and designing, she finds the two areas mutually inspiring. After graduating at the Faculty of Architecture in Belgrade, she stepped into the uncharted territory of freelancing. She reported on the RIO+20 Summit in Rio de Janeiro, where she learned about the politics of sustainable development and caipirinha cocktails. 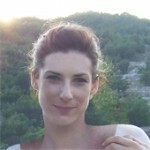 Lidija has also produced work for Internews’ Earth Journalism Network, GreenUp Blog and eVolo Magazine. An incurable cinephile, she plans on creating a blog that will serve as an outlet for her obsession with cinematography and film production design.